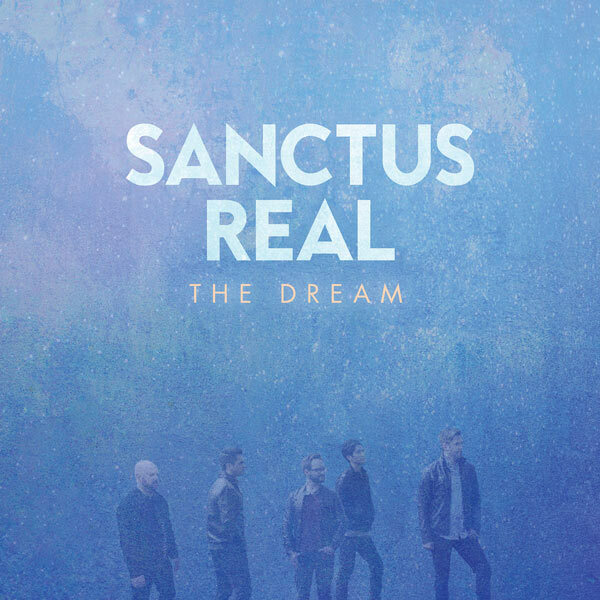 It’s been about 9 months since pop/rock Sanctus Real, originally from Toledo, Ohio, released their most recent album The Dream, the fitting follow-up to their critically acclaimed 2013 album Run which featured hit songs like “Promises” and “Pray”. And ever since the latest 12 track album released, we as a site planned on reviewing the album, as “Lay It Down” was pretty catchy, and “On Fire” was reflective, comforting and introspective. Not to mention the fact that we knew Sanctus Real’s latest would be stirring and inspirational, given the fact that there were many Dove Award and Grammy Award wins and nominations for the band’s previous works, so just because of their reputation alone, I knew that we wanted to hear The Dream and voice our thoughts. But life got in the way, and now it’s the middle of 2015, so naturally I thought that all albums that released in 2014 that weren’t reviewed by now for one reason or another, just wouldn’t be reviewed…and that would have included Sanctus Real’s new album. Boy, how God works in mysterious ways. Opening the track list is the emphatic, engaging and explosive title track, led by fervent electric guitars, where Matt encourages us to live the dream and be who God intended for us to be in our lives. Proclaiming with intense passion that a relationship with Jesus is our goal, that ‘…it’s You, it’s You, it’s not a place, it’s not a thing, it’s not a trivial pursuit, the dream is You…’, we are presented with probably one of the most rockiest song on the album, and an honest account of how we should live our lives us Christians- in active pursuit of Jesus, as we trust Him in every aspect of our lives. Well done guys; the title track sets the tone for the rest of the album, where we are encouraged to live wholeheartedly for Christ. A pure rock song at heart, the tempo and intensity heightens with the next track “I Need You”, an honest and emotional plea of admission that we need Jesus, that ‘…I need You, this is serious, I need You more than an experience, I need You ’cause You’re the real thing, I need You…’. With such simple lyrics, Sanctus Real have this uncanny knack in delivery that makes them sound all the more emotional and honest, and that’s the case with this track, which is a gentle reminder that God’s presence and love is real, with us and eternal, whereas every other source of ‘fulfilment’ and ‘satisfaction’ is only temporary. The next group of songs tell a story thematically, which is no easy feat for this talented band. Both “Head In The Fight” and “Easier On My Heart” bring the music back to the 80’s and 90’s. The former melody is a piano and bass prominent inspirational piece encouraging us to keep on pressing on aka keeping our head in the fight, and believing in God to see us through in order to survive and thrive, with Matt declaring that ‘…I’m gonna stay in the fight, I’m gonna stand for what’s right, I’m gonna carry the light…’. While the latter is perfect for the dance floor, with unashamed synth and more bass leading the song. Detailing how much Matt longs for heaven, he prays for God to show him a glimpse of eternity with Jesus, so that we know exactly what to look forward to in the next life; as especially during the harder times, something known and tangible is better to look forward to than something unseen. While we all can feel Matt’s plight, God’s promises will carry us through the deepest valleys, as we long to see Jesus again. The acoustic guitar driven “Lay It Down” carries on that theme, with the lead single highlighting that we can long for heaven and be free when we lay out burdens down at the feet of Jesus, a simplistic yet freeing and effective notion, as Matt vibrantly and fervently sings out that ‘…you can stand up no matter what, march on when times are tough, be strong and don’t give up, all you need now is to shake ‘em off and lay ‘em down, at the cross where your freedom’s found…’. While at the halfway point on the album, “Ride It Out” ends our stories of sticking it out in this life for eternal reward in the next. The theme of God seeing us through is further highlighted as Matt eloquently instructs us that when we are faced with adversary and hardship ‘…don’t you turn around in the sea of doubt, you don’t want to drown if the ship goes down, so clear your eyes, keep your sails high, and ride it out…’. Reminding me of Peter walking on the water or Jesus calming the storm, these past few songs have taught me that Jesus will keep us safe in the storms of this life, and all we need to do is trust Him. Well done guys for some of the best songs of your career! If the first half of the album was engaging, the last half is even more so. “Bend Not Break” is driven by eclectic electric guitar, with a slight country twang, as Matt highlights, through hand claps and engaging guitars, that community through church with our brothers and sisters in Christ is important. A friend with the same belief system as us is invaluable, as ‘…you don’t have to run from the fears behind you, turn around and I’ll stand beside you, take my hand and remember we may bend but will not break…’, reminding me of Proverbs 27:17 and Matthew 18:20, as I come to the conclusion that our spiritual family is important to our faith, and rather essential. While “Same God” carries on the musical theme of country and folk as well, as Matt calls for unity and harmony amongst all Christians in all denominations, as we are all worshipping the same God, the ‘…same life, giving us a reason, same love, giving us freedom, same God, that we believe in…’; and the somewhat repetitive “One Word At A Time” (the lowest point of the album), still has something poignant and necessary to convey. Matt ardently outlines that while living for Christ in this life, we should aim to affect one person at a time, reminding us that ‘…every morning is a new sunrise, a chance to change the world by living out your life, one word at a time…’, so as not to be discouraged when our loftly plans of bringing 10 000 people to Christ at one time doesn’t come to fruition. Themes and notions that we can ponder over again and again, the final two tracks takes the band to the more personal stories, and this is where Sanctus Real shines the most. Was “33” written or recorded when Matt Hammitt, or another band member, was 33? Maybe. But whatever the reason, “33” is incredibly personal, as Matt highlights that God’s faithfulness has brought him through the highest of heights and lowest of lows. Led by captivating piano and guitar, Matt’s vocals are spot on, with the vulnerability is evident as he sings out. ‘…I’ve made my mistakes, I’ve caused my share of heartache, but I have seen a mother’s prayer come true, oh, Lord my heart still belongs to You…’Reminding us that every day of our lives God is shaping and remaking us into who He wants us to be; it is the pseudo-album closer “On Fire” (apart from a one minute piano led instrumental outro that is track 12!) that takes the personal to a whole new level. Matt emotionally describes how a friend of his lost the fire for God, and the spark for Christianity he once had has now diminished. A sort of plea to this friend, Matt honestly reiterates and asks the question to his friend, about why he’s not on fire for Jesus anymore, as ‘…you were on fire, and church was more than a place, and people were more than faces, and Jesus was more than a name…’. enough to make anyone teary and emotional, it’s no wonder that “On Fire” is now a radio single- as obviously the subject matter of reigniting our faith resonates with a lot of people. And ending the album on a positive and hopeful note that we are never too far gone from the love of Jesus, is fitting. After all, that’s what Sanctus Real set out to do, to impart the love of God into everyone they meet. And I think The Dream has accomplished this feat quite nicely. It’s going to be sad when Matt Hammitt leaves Sanctus Real, but whatever the future of the band, I am pleased and proud of this album, even if it is their last album ever. Surprisingly one of my favourite albums on 2014 now (but not my favourite 6 months ago…go figure! ); this album is a no-brainer for this year’s Dove Awards (win or nomination). Though the 11 track work of art and a masterpiece in it’s own right, is sure to have its doubters, given that along with Kutless, The Afters, Skillet, Seventh Day Slumber and Audio Adrenaline, they have taken the route of rock to CCM in a span of a few albums; as a pop/rock and CCM lover, this album is one of their best. I guess people need to make up their own mind, but I will say this- thematically this album is as good as it gets, with Sanctus Real diving in deep, really personal…and it’s comforting and refreshing to hear songs about needing to believe that God is here with us, that His plan is good for us, and that He loves us to have our best interest at heart!